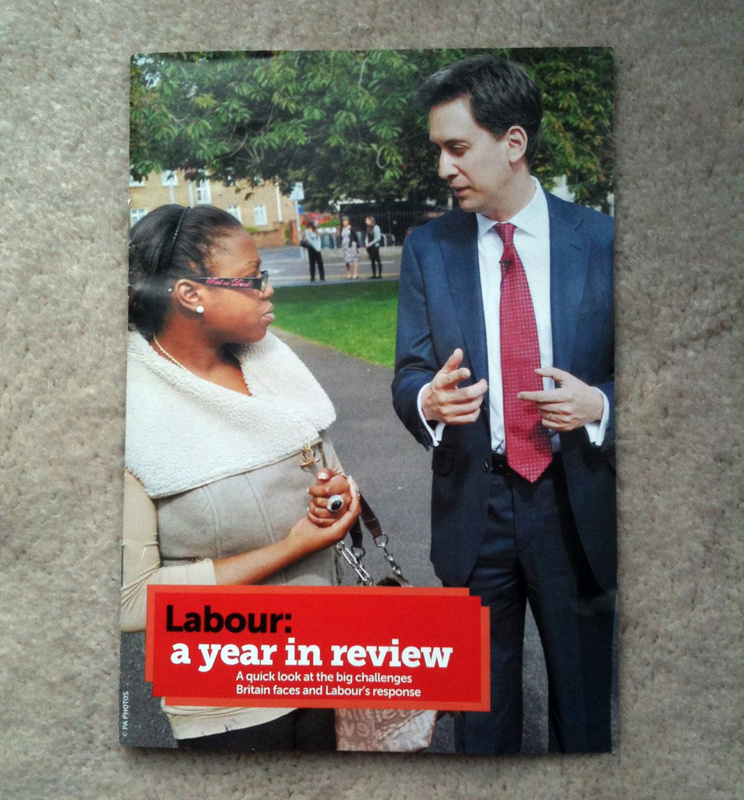 The Labour Party has sent out a booklet to members called ‘Labour: A Year In Review’. It makes clear that Wandsworth is at the centre of national politics. The booklet focuses on just two events – and both are from here in Wandworth. 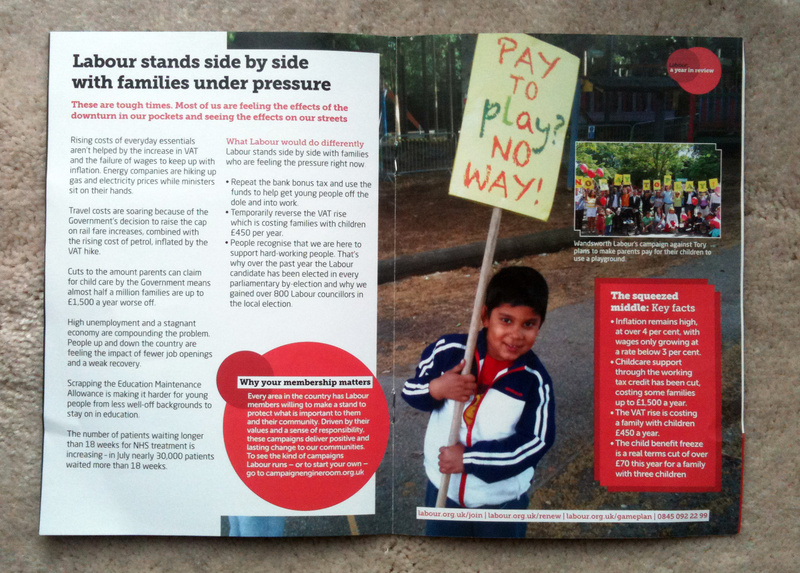 The first issue is our battle to stop Wandsworth council charging children to play in Battersea Park Adventure Playground. It features a photograph (taken with my mobile phone!) of young Ishan Feisal proudly supporting the campaign. 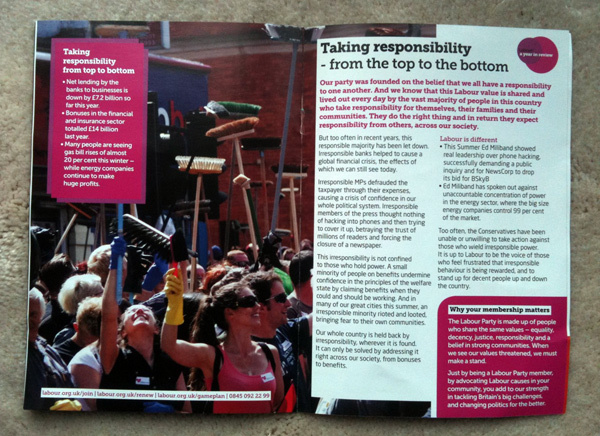 A second article features the ‘Broom Army’ of volunteers who took part in the wonderful spontaneous clean-up of Clapham Junction after August’s riots. These two events combine to explain why Wandsworth is at the heart of British politics in 2011. We have a strong, but polarised, community and an aggressive council that wants to be the flagship right-wing borough in the country (first to evict the families of rioters, first to charge for playgrounds). This makes it doubly important that the most damaging policies are stopped. The mothers who stood up to the council and took legal action to stop it charging for playgrounds also helped to keep every other playground in the country free. If we win here, we will win everywhere. This entry was posted in Uncategorized and tagged Battersea Park, Clapham Junction, Labour by Simon Hogg. Bookmark the permalink.